New Student and Parent Orientation was held Aug. 23-26, on the Webster Groves campus. 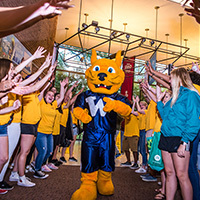 Over 1,400 new students and their families attended over 40 sessions and events during the weekend, making it Webster's largest orientation ever. 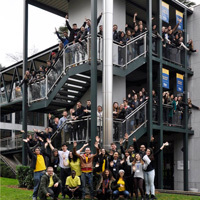 The Multicultural Center and International Student Affairs (MCISA) has been working hard to prepare for the upcoming arrival of new international students on campus. Our new class of students come to St. Louis from all around the world: India, Uzbekistan, China, and Nigeria with four students from the Chengdu campus and two students from the Thai campuses studying abroad for the summer term. Multicultural Center and International Student Affairs (MCISA) welcomes international student to St. Louis from all around the world during orientation for Spring 2 on Friday, March 16. 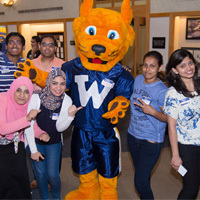 See the schedule of events and resources available to help these students and be sure to extend a warm welcome as they get to know Webster! 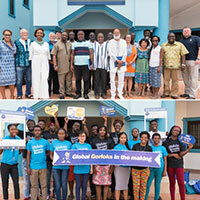 As another academic year begins, Webster University's campus in Accra, Ghana, has increased its global footprint by welcoming new students from across the African continent and beyond. New enrollees include students from Ghana, neighboring Togo, Nigeria, Cameroon, Sierra Leone, the Democratic Republic of Congo, and Guinea. Nationals from the United States of America, Canada, South Africa and China have also joined Webster Ghana for the Fall 1 term. 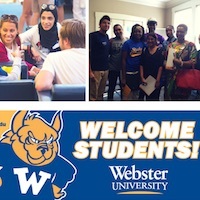 The beginning of 2016 brought a new round of student orientation at Webster campuses around the globe, as many students either began their undergraduate or graduate studies or embarked on a study abroad experience at a different campus within Webster's network. See photos of their first steps in Accra, Bangkok, Cha-Am, Geneva, Leiden and Vienna.